Here is a video from our Thanksgiving holiday trip to South Seas Island Resort in Captiva, Florida. This is a semi annual trip for the family and it’s always a lot of fun to catch up with everyone in the warmth of South Florida. Dylan was a little disappointed this year as the water temps where a little on the cool side! But he did brave the big community swimming pools despite the cooler than normal temperatures. 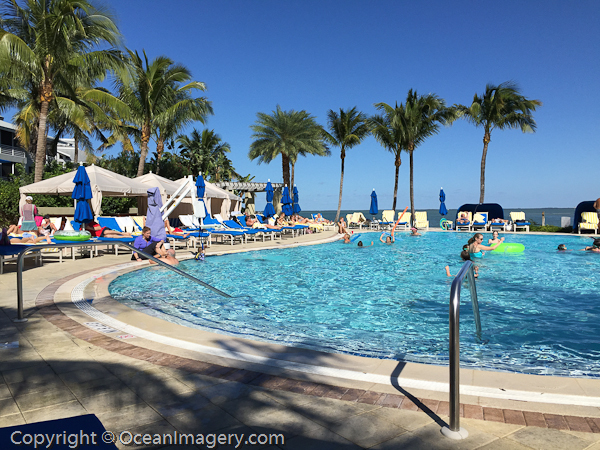 “One of the main swimming pools” – South Seas Island Resort – Captiva Island, Florida. This year we expected to spend Thanksgiving in Chicago for a wedding, but it didn’t pan out. So instead we all decided to spend Thanksgiving on Captiva Island with Julie’s family as we have done many times in the past. It was nice getting together with the family and celebrating the holiday in a nice warm place even if the water was a little on the cold side. Here are a couple of photos from the trip… enjoy! :: Tags: Lost & Found, Too Cool! The other day I was going through some boxes in my workroom and ran across a device I though I had lost years ago. Way back in the day, when cellular phone technology was just getting started there where two types of cellular telephones you could purchase… the original “Phone in a Bag” or “Car Phone” model or the much more expensive handheld model which inventor Martin Cooper is credited with designing in 1973. 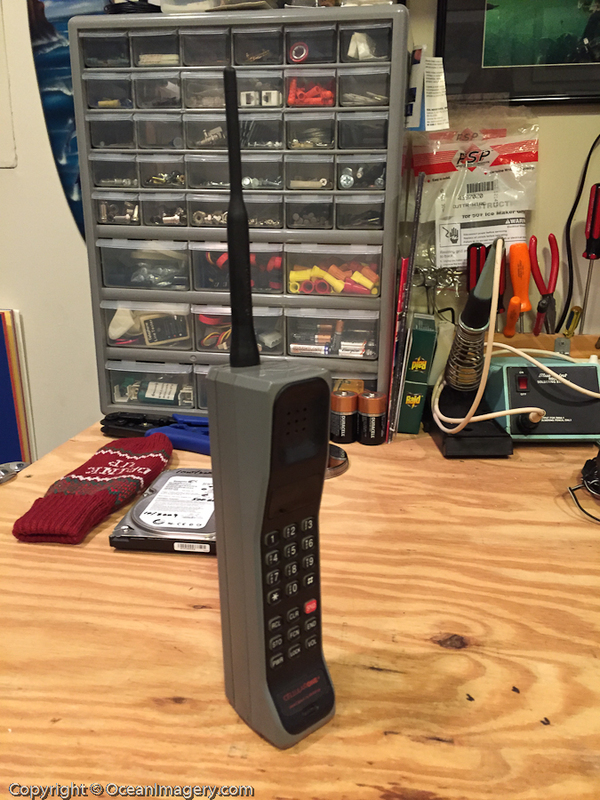 I cant remember what year I switched up from my “Car Phone” to the Motorola Dynatac 8000x, but it was pretty cool being able to stick your mobile phone in your back pocket! I got the newer model that had a smaller battery pack and was sold exclusively by Cellular One at that time. 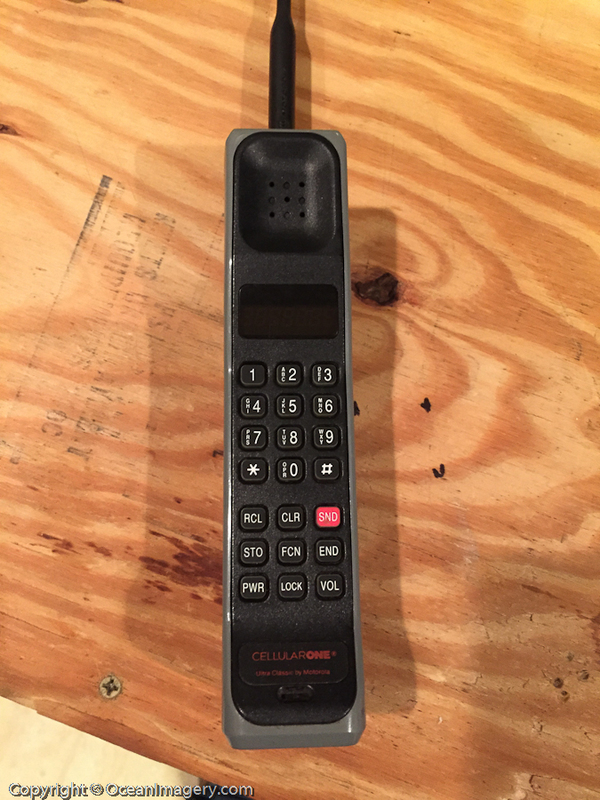 It dropped calls constantly and didn’t work anywhere outside of major cites, but cellular was just taking off and I new this was going to be the thing of the future. Wow, how times (and technology) have changed!! Oh yeah, and after charging it… it still works! !